One of the most important yet often overlooked tools to help both working and any sporting dogs is a good orthopedic dog bed. There are many reasons why these dogs need a little extra TLC when they are not on duty or training. 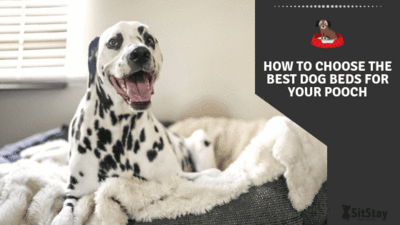 The best orthopedic dog beds can help in a multitude of ways and can make sure your dog stays tip top and ready for whatever they may be required to do. It takes a lot of work to be any kind of working dog and there are so many of these wonderful animals out there. Anything from military and police dogs to medical alert dogs, so many people live and work side by side with a K-9 companion. The daily routine of these dogs can be grueling sometimes on their feet for hours at a time. 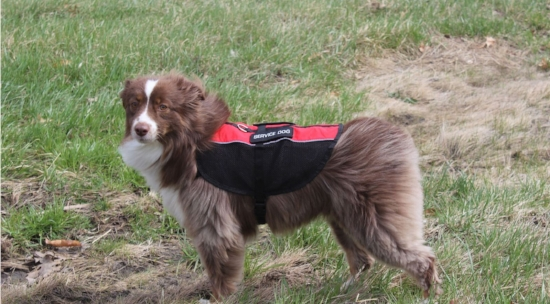 They are known to help their companions take medicine, call for help, reduce anxiety and PTSD, subdue criminals, search and rescue, track, alert for either health or security reasons, and even assisting humans with disabilities such as guide dogs for the blind. Some working dogs even perform more than one of these tasks every single day! The reason these dogs need an orthopedic bed is simply that they need proper support to help recover from the daily routine. Dogs are known to need more rest than humans and by being working dogs they are oftentimes keeping at our pace throughout the day. This constant effort causes some wear and tear if not treated and can lead to severe problems like arthritis and hip dysplasia if not cared for. One of the more predominant working dog breeds is the German shepherd, these dogs are a large breed and are extremely athletic and well built. But even German Shepherds are known to suffer after some of the long hours' service and working dogs spend on their feet. Another area where dogs experience joint pain and other problems after a long day are agility dogs. These guys go through some crazy workouts and competitions that can stretch their bodies to the extreme. 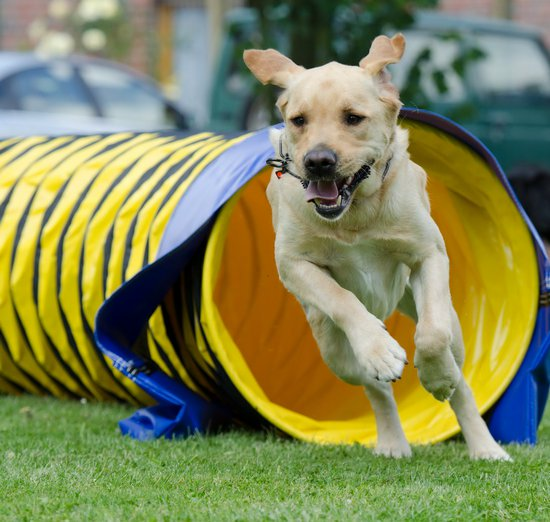 Other sporting dogs are similar but agility training takes the cake with the obstacles in an agility course. A typical agility course consists of hurdles, weave poles, ramps, tubes, balance beams, and teeter-totters just to name a few. Sometimes these competitions can get extreme with the dogs juking and working their bodies to the best of their abilities, this inevitably leads to issues in the joints and other athletic related injuries for dogs. Dog agility training is not as extreme as the competitions yet it is still demanding of the dog's body similar to the physical requirements of football or volleyball. The great thing about this sport is that it is a true bonding experience for the owner and the dog while being a fun playtime for Fido. The reason an orthopedic dog bed is so important for these dogs is again for recovery of their joints and entire bodies if there is a more serious injury that requires surgery. Joints need time to rest and conventional dog beds do not support them enough to relieve pressure. After a long competition of juking and doing other athletic feats imagine going home and sleeping on a bean bag rather than your bed. This would leave you sore and achy the next day or a few days unable to loosen up and get back to it. Memory foam dog beds work by redistributing weight across the surface of the bed and eliminating any pressure points to relieve associated joint pain. This also allows for better blood flow throughout the body which helps muscle recovery and overall health of a dog's cardiovascular system. Like I said a real orthopedic memory foam dog bed can work wonders for pets well being and long term health. These were predominantly thought to only be necessary for older dogs but the more and more people research the effects it is becoming more apparent that they are more preventative for some of the problems that come with strenuous work and aging. 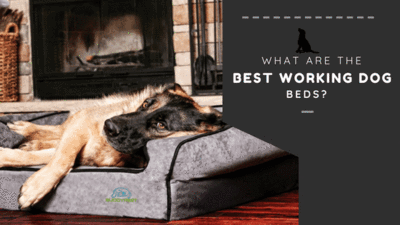 But how do you choose the best orthopedic dog bed for your pooch? 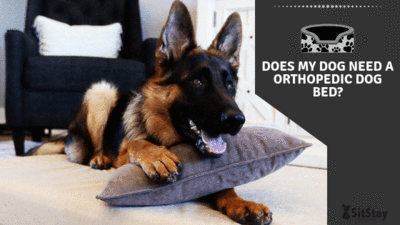 When deciding on a good orthopedic dog bed there are some key things you must think about to ensure it is good for your dog. First off is the shape, whether it is a bolster bed or a flatbed and this is dependent on your dogs sleeping position. If they sprawl it is wise to get the flat but if they lean or curl a bolster is better. Next is the materials, many companies claim to have orthopedic beds yet continue to just use regular crate foam that doesn't have the support of an orthopedic bed. The fabric on the cover is also a matter of what you need. Some have a water resistant, some have chew resistant, and some have microfiber covers. This all depends on what pet beds you believe to be the right choice for your pooch. Me I like an easy to clean cover for the convenience. 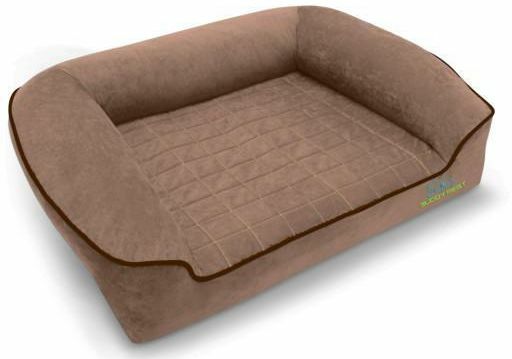 After some research on our end, we have decided that our vote for the best orthopedic dog beds goes to Buddyrest.com. Their beds are made in the USA and areveterinarian recommended by a bunch of DMVs. 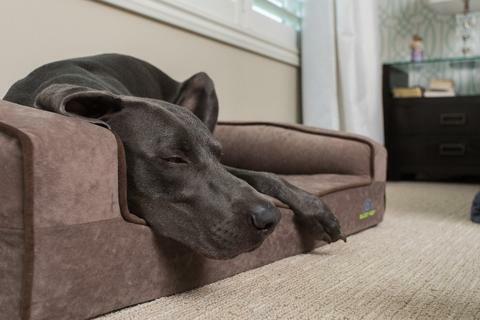 These guys have been around a while and were one of the first companies to bring the sleep science of humans to dogs with their memory foam dog beds.They are the only company out there that “calibrates” their foam with tactile pressure mapping. These beds also feature a state of the art fabric that is water resistant, easy to wash, and stays clean. By getting one of the best orthopedic dog beds you are ensuring your dogs will be actually helping their joints as they rest. All we can do as the caretakers of our dogs is try our best and this is one way we can help. It can also help to give your dog a supplement meant for joint pains, such as a turmeric product that has natural anti inflammatory properties. I hope this post has helped you discover if an orthopedic dog bed is right for your furry friend. If you have any questions or would like to share your story feel free to comment below. Also, make sure to share this post with anyone you think could use this information. A good dog bed can be the difference between pain and comfort yet is often overlooked by owners, An orthopedic bed can truly help!